Sea View plot with approved project- Boliqueime - Property for sale. 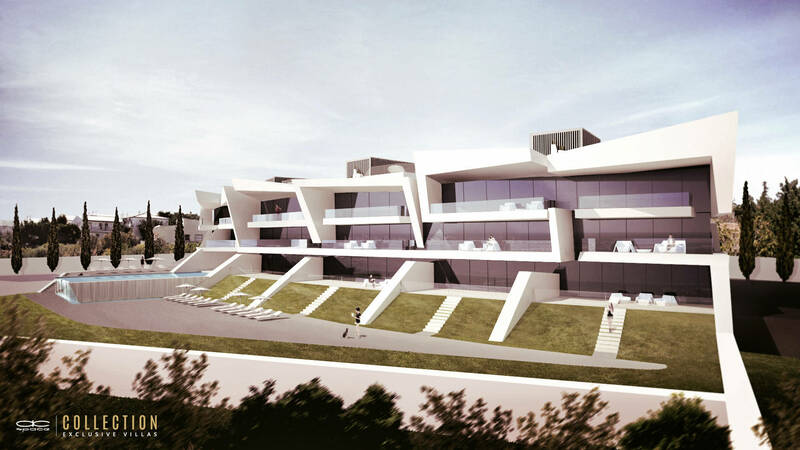 Full Description: An approved project for the construction of contemporary, high quality apartments with sea views, located on the edge of the popular village of Boliqueime. The project includes a total of between 13 and 15 apartments (depending on the desired layout), some of which are true, private penthouse apartments with private rooftop pools and terraces. All of the apartments are south facing, with excellent views of the coast. The apartment building will include secure underground parking, landscaped gardens and a swimming pool within the grounds. The project has been approved by the council, so construction can start quickly and any purchaser has a guarantee that they can build this development. The price includes the purchase of the land, and the complete Architectural project. A rare opportunity to purchase a landmark project, with an outstanding design, where all the approvals have been dealt with.